(RNS) â" U.S. Army Chaplain Darren Turner and his wife, Heather, faced the trauma of war on the battlefield and the home front when he was suddenly deployed to Iraq days after he entered the military chaplaincy. 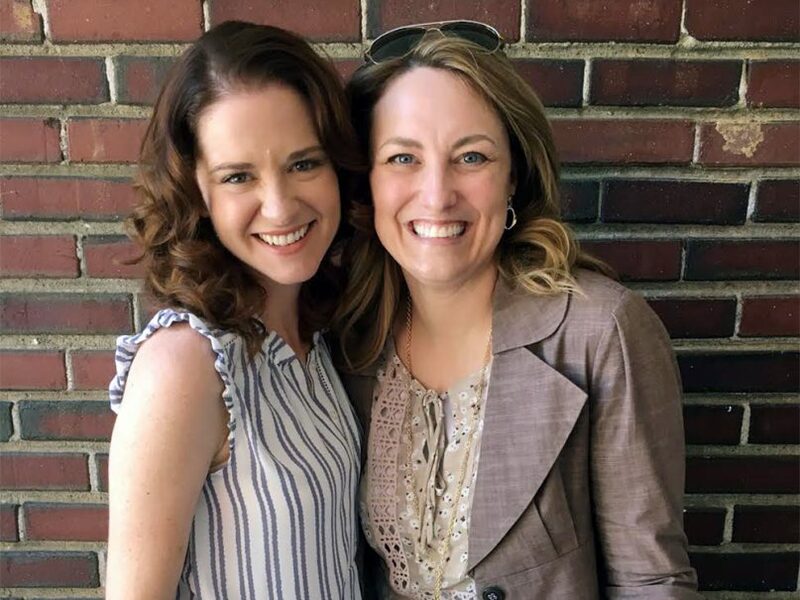 A decade later, their story is portrayed in the movie âIndivisible,â which opens Friday (Oct. 26) and features âGreyâs Anatomyâ actors Justin Bruening and Sarah Drew. The film portrays the struggles that the Turners faced, including their marital separation. Now reconciled, they worship at a Presbyterian Church in America congregation near Fort Bragg, N.C.
Darren Turner, 45, an active-duty chaplain, talked with Religion News Service about the stresses on military families, the roles of chaplains and coping with faith and doubt. 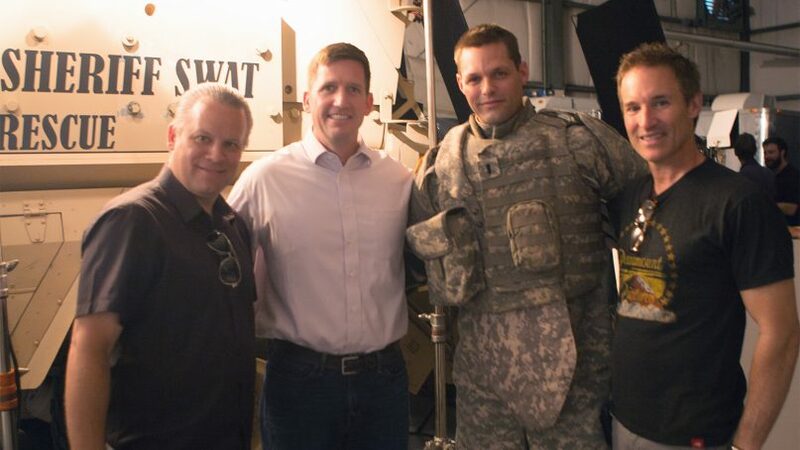 Why did you allow your story of the life of a military chaplain to be made into a movie? Chaplains are unarmed and you were traveling with soldiers in places where hidden bombs could blow at any moment. How would you say that affected you and how did it help or hinder you from helping others? In a combat situation, my chaplain assistant did carry a weapon and I was surrounded by other soldiers. Everybody except the chaplain carries a weapon when in a combat zone. So I felt very comfortable if we did get into some kind of situation where there was a firefight that I was going to be well protected. Even though you had that protection, you suddenly were thrown into combat situations when you were really fresh into the military. There were several times when I was in a convoy or helping the guys on a mission where we did get shot at. That certainly changes the dynamic from what I was used to at Fort Stewart, getting ready with these soldiers and doing practices in rehearsal combat situations. Itâs totally different when you were actually getting shot at or actually having bombs going off around you. That certainly created a lot of the stress and tension in this brand-new chaplain, three months afte r showing up for my first day of work. The movie depicts your challenges in war and your initial inability to share your experience with your wife as she kept the family together at home â" both before and after your deployment. What are some of your key pieces of advice for couples in this situation â" military couples? I came home and I did not think that my wife would understand what I had gone through. My heart was broken at losing so many guys. I bent in on myself, so to speak, and didnât let her in to even see if she could possibly understand or help. I chose to be around my buddies more frequently than I did my own family because they got it. Thatâs a horrible decision that I made. I hope that no one ever makes that again, but thatâs the reality of coming back from a situation like that. I was basically living like a single guy for 15 months. So my advice for folks in the situation today is, trust your spouse. Get to know them, get to know their story. Donât just hang onto your story, thinking itâs more important than their story. Theyâve been through battles too â" maybe not getting shot at but the daily battles of life. 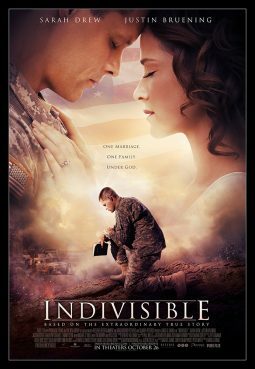 The movie also brought to light the roles some spouses have, helping families cope with the death and injuries of their loved ones in the military. Do you consider them to be sort of lay chaplains? My wife was absolutely a huge part of our team. I was deployed. She was back home. But we were dealing with a lot of the same scenarios. When something bad happened when I was deployed, I was dealing with it on the front lines. Then a day or two or three later as news trickled back, and even sometimes with the case of injured soldiers â" t hey were sent back pretty quickly â" she was on the back end helping those families, watching the kids while the wife went to the hospital or organizing meals for people to bring over. She was in ministry front lines just like I was. It just didnât look the same. About a decade after you returned from Iraq, how does what you experienced there affect how you counsel current military members returning from Afghanistan? For the most part, these families donât choose to get in a place to where theyâre almost divorcing. Itâs a slow fade, a slow process. If I can talk and listen to them and help them identify some of the little steps that contributed to their troubles, maybe we can back those up and start to repair some of the damage. It didnât take a day to get there and itâs not going to take a day to get out of that either. Itâs a marathon, not a sprint. What does a chaplain do when he or she needs a chaplain, especially when there may be no other clergy colleague anywhere nearby? In the real deployment, not the one depicted in âIndivisible,â I did have a few chaplains around me. We would get together in the evenings sometimes and just hang out. Sometimes it was watching a movie. Sometimes we would pray together. Sometimes we would just do our own Bible study, just for our sanity check, because when youâre gone from someone who you can trust with your soul, that begins to take a toll. You had to help troops when comrades died suddenly or hold memorial services to mark those deaths. How did you meet the needs of troops on the ground who did not or do not share your faith, whether theyâre Jews or Muslims or atheists? The Chaplain Corps, we have a couple of different mottos. O ne of the mottos is to nurture the living, care for the wounded and honor the dead. And that is irrespective of religious preference. So nurture the living, for example, particularly with people who have a faith background, that could mean we pray with them, have a Bible study, provide them literature, whatever they need. Or it could be that we care for people who didnât have a faith background and did not want any sort of faith in their life. They just simply wanted somebody to talk to about whatâs going on at home. I would invite people to have a conversation with me that was most comfortable for them. They are worthy of my ear and my counsel, even if they donât agree with my faith or even have a faith of their own. My hope and prayer is that one day they will recognize their need for faith in something bigger than themselves, i.e., God, via Jesus Christ, in my situation. You left the military service for a time as you worked to rebuild your marriage and get back tog ether with your wife after the two of you separated. Why did you decide to go back to the chaplaincy, which could have been a risk to yourself and to your marriage? The Army had become, in some sense, my identity â" dare I say, even my mistress. I loved the Army. I loved the uniform, the badges, the cool things I got to do, the people I was working with. It became something that I slowly began to love, maybe even more than my own family. When we separated and my eyes began to open at just how much I had contributed to this bad situation in our family, I knew that the Army at that time was an enemy to the best interest for my family. And so fast forward a year after weâd been in counseling, we reconciled. Weâre doing slowly better than ever. There was a certain point about a year after I got out where we just sat down one night and we looked at each other and I confessed that I longed for the Army again and really missed it. And to my surprise, she did too. We concluded that night that it wasnât the Armyâs fault. It was our fault for mishandling what we felt like was Godâs calling on our life. So once we got our priorities back in order, we wanted back in with a renewed sense of calling, with a renewed sense of commitment to one another. Near the end of the movie, your character has a discussion with a more senior chaplain about faith and doubt. What has your work taught you about the way those two go together or donât? Iâve learned through these experiences as a chaplain that our God is not able to be put into a nice tidy box like I had put him in. It wasnât that I was totally immune from life crises or death or sicknesses. But in the military, I was confronted with a harshne ss not only of U.S. soldiers but of the Iraqi people, of world politics, of people who find themselves in really, really dire situations. If so, why would God allow that? I had to come to terms with the fact that everything is working toward Godâs favor. Itâs sunk deep into my soul that even in tragedy, even in crisis, there is goodness to be found, that God is working. We can curse God. But his intent is that even in those horrible things â" because we live in a fallen world â" the goodness of God is still evident if we choose to look and find that heâs there.